This non-alcoholic Ayurvedic medicine gives instant relief to infants and babies crying due to gripe and stomach pain caused by acidity and indigestion. By promoting and aiding digestion, it ensures healthy growth. It is also useful during the teething period. In general it is advised to give Woodwards Gripe water to babies between the age group of 3 months to 18 months. 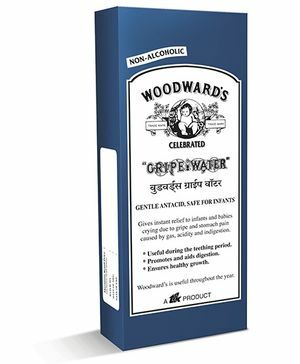 However in case the baby is on other food apart from mothers milk then Woodwards gripe water can be given before 3 months. Good but give the discount na...its coming same price on shops also. Nothing more better for a grumy tummy..